In the author’s note for Doctor Sleep, Stephen King’s recently released sequel to his 1977 novel The Shining, King notes, “The man who wrote Doctor Sleep is very different from the well-meaning alcoholic who wrote The Shining.” King has talked openly and extensively about the autobiographical nature of The Shining’s Jack Torrance, which is a bit of an odd, damning connection to underline, given that Torrance is a character famed for attempting to chop up his family with an ax in a homicidal delirium. Thanks to Stanley Kubrick’s 1980 adaptation of the novel, that image is far more famous than it would have been had Torrance remained on the page. As King has repeatedly explained, Kubrick’s The Shining is a much different story than the novel he wrote. 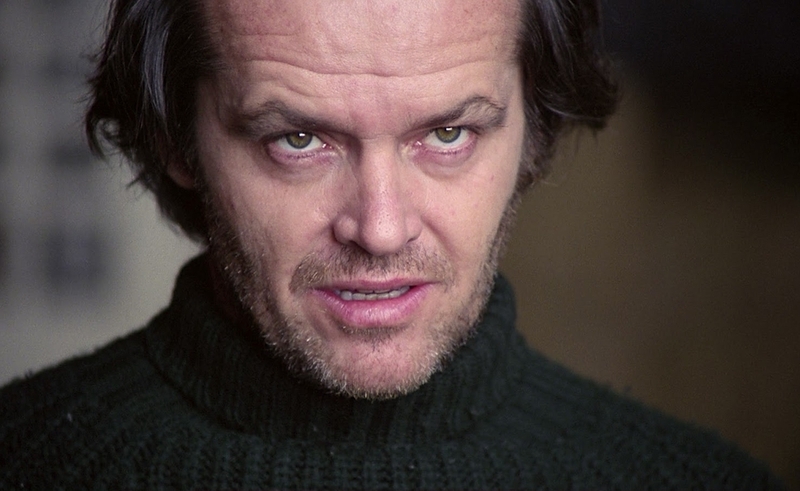 Similarly, the wild-eyed Jack Torrance played by Jack Nicholson is much different than the character King wrote to reflect his own compulsions, rage, and addictions, in a book he dedicated to his own young son Joe (who went on to become a successful comic-book writer and novelist under the name Joe Hill). King was skeptical about The Shining before Kubrick shot a single frame. In the decades since, he has seldom let up in his criticism of Kubrick’s film, even as it has come to be recognized as one of the scariest, most masterful movies ever made. King even wrote a 1997 TV miniseries version starring Steven Weber and Rebecca De Mornay to illustrate how he felt the book should have been adapted. King’s criticism didn’t even end when Kubrick died: Even after Kubrick ascended to genius heaven, King, a giant and a genius in his own right, continued to stew at the director for screwing up his book. King’s criticism has baffled some folks and infuriated others. How can a man whose sole directing credit is Maximum Overdrive (a film so influenced by King’s addictions that a sentient bag of cocaine might as well have a “story by” credit) continue to complain that his book was ruined by a filmmaker of Kubrick’s skill? How can King complain about Kubrick’s The Shining, yet remain silent about the countless unwatchable adaptations of his work? Yet from another perspective, King’s intense, enduring anger is understandable. King refers to the author of The Shining as a “well-meaning alcoholic” for a reason: King was using the tools of his trade as a horror novelist to try to understand the nature of his disease and the corrosive effect it had on the people in his life, particularly his family. Underneath the ghosts and blood and supernatural fright in The Shining lies a human core: a father’s terror that he will lose control and hurt his family. King wrote a book about alcoholism from the inside out, as an addict. Kubrick made a film about alcoholism from the outside in, a film that doesn’t extend King’s deep empathy to Torrance and his condition. King felt deeply for Jack Torrance. He identified with him more than is probably healthy, whereas Kubrick views him from the same cold, clinical distance from which he sees most of his characters. There is a pronounced lack of interiority to both the film’s depiction of the character and Nicholson’s performance. Kubrick pins Jack Torrance to the wall like a butterfly, one of his prized grotesques, rather than inviting audiences to identify or empathize with him. But although Kubrick dramatically changed the nature of Jack Torrance and the audience’s relationship to him, The Shining nevertheless emerges as a powerful, profound exploration of the psychological devastation and collateral damage wreaked by alcoholism. In Kubrick’s The Shining, alcoholism is the monster that resides within Jack, one with the power to destroy his world unless it’s treated. The film is haunted as much by the incident where Jack drunkenly dislocated his son Danny’s shoulder as it is by the more dramatic case of a previous winter caretaker chopping up his family with an ax, then killing himself. As defensively recounted by Wendy (Shelley Duvall) to a concerned doctor who has just examined Danny, the incident prompted Jack to stop drinking. Yet the nervousness and uncertainty in Wendy’s voice and the awkwardness of her body language betray that she is scared of her husband, and that he’s just a slip away from repeating the incident, or worse. Wendy wants to believe the best about her husband. Yet she’s all too cognizant of what he’s capable of when he’s drunk, and how fragile his sobriety is. Even though he hasn’t had any alcohol for five months, Torrance is clearly what alcoholics like to call a “dry drunk,” someone who has stopped drinking without changing the dysfunctional thinking and behavior of alcoholism, eschewing programs and support groups because he thinks he can make it through willpower alone. From the beginning, Jack is operating from a place of selfishness and insensitivity, subconsciously acting aggressively against his own best interests and his family’s. The last thing an alcoholic needs is isolation, but when the man who gives Torrance the job taking care of The Overlook warns him that it’s a gig characterized by difficult, intense solitude (the kind that leads some disturbed souls to murder their families and themselves), he insists that’s just what both he and his family need. Yet a single glimpse of Danny and Wendy reveals the last thing either a terrified mother or a preternaturally sensitive young boy needs is to spend months upon months at a haunted, secluded hotel in the exclusive company of a bitter, rage-choked man with difficulty controlling his emotions. 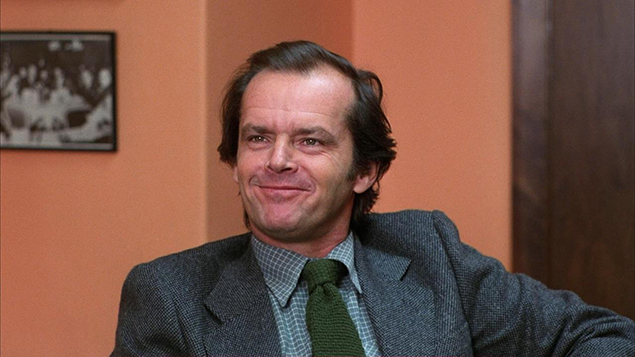 King worried that Nicholson’s madman charisma would telegraph the character’s descent into madness, that casting a wild man in the role made it difficult to buy Torrance as an everyman fighting a losing battle with his demons. Nicholson’s reputation as a famous libertine has a similar effect. From the first shot, Torrance looks like he’s impatiently counting down the moments until the unwanted prison sentence of sobriety can end and he can live again. 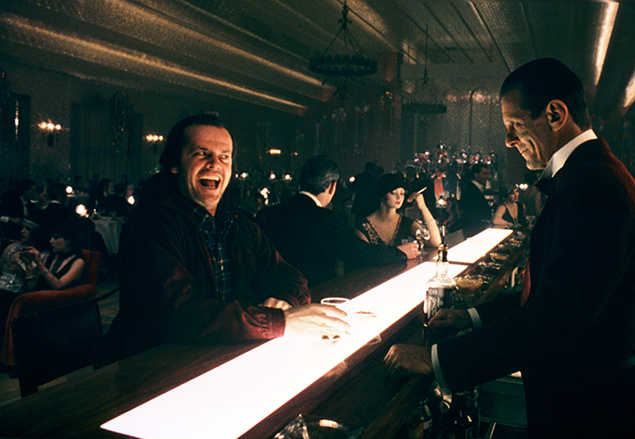 Jack’s smile is wan and unconvincing when he’s talking to his new employers at the Overlook. He’s portraying the role of a sober, responsible family man and dependable human being without much conviction. If that’s the man he wants to be, he thinks, it’s the man he is. But the gulf between who Jack genuinely is and who he believes himself to be grows increasingly warped. Jack explodes with rage toward Wendy for not being deferential enough to him as either a writer or a hotel caretaker, when she’s clearly been doing all of the work keeping up the hotel, while his novel hasn’t advanced beyond a single phrase, dementedly repeated. But Torrance’s complete break with reality and his descent into violence doesn’t properly begin until he falls off the wagon, with the help of a waxen-skinned, creepy ghost bartender named Lloyd (Joe Turkel). In this moment, Jack conclusively and decisively gives in to his disease. He stops fighting and lets go of his wobbly self-image as family man, writer, and hotel caretaker. He unleashes the howling demons within. In serving the Overlook and Lloyd—who implicitly posits homicide as a reasonable price to pay for an unlimited bar tab and unlimited bourbon—Jack is really serving his alcoholism and his addiction. In his ghost-assisted delirium, Jack’s most important relationship is with alcohol. His addiction tells him that this is the only relationship he needs and will ever need, and that he must destroy anything that gets between him and his passionately re-committed love affair with booze. For instance, the “outsiders” Lloyd ominously warns him Danny is trying to summon to the Overlook. For an alcoholic lost in sickness, the idea of accepting help from “outsiders”—like AA or a rehab center—is tantamount to failure, if not outright spiritual death. And like Jack, The Overlook is a dry drunk, a booze-saturated place that has managed to eschew alcohol for whole seasons at a time while retaining the toxic air and creepy vibes of a whiskey-addled pleasure palace of über-perversity. The nightmarish qualities of alcohol have permeated The Overlook’s aura on a visceral level: It all but sweats with the DTs. In The Shining’s climax, Jack Torrance’s worst fears are realized on a nightmarishly literal level. A man afraid of falling off the wagon and accidentally hurting his family returns to drinking (albeit at the behest of an apparition, and with what seems to be ghost bourbon) and races through the hotel in a frenzy as he attempts to track down and murder his wife and son. Alcoholism has a terrifying power to destroy families, and in the climax to The Shining, there’s nothing symbolic or metaphorical about that force. Instead, the film depicts a man who has completely given himself over to his demons, rather than facing the consequences of being sober. For a film whose mysteries have inspired countless theories, complete with a documentary about those theories in Room 237, the symbolism in The Shining can be awfully obvious. After all, a bartender tempts Jack over to the dark side (a place he never really left, even after he quit drinking), and in the climax, a man ravaged by alcoholism, mental illness, and profound isolation gets trapped in a literal maze, overwhelmed. The film’s famously disorienting approach to space and time re-creates on a stylistic and emotional level the confusion and helplessness of being deeply and unhappily inebriated and out of control. The horror of The Shining ultimately isn’t the horror of a haunted hotel, or ghosts, or hallways gushing blood. It’s the horror of addictions that separate well-meaning people from their better angels and sense of right and wrong. That theme powerfully informs Kubrick’s film, even though alcoholism isn’t as foregrounded as it is in King’s book. Alcoholism figures even more prominently in Doctor Sleep, which documents the grown-up Danny’s alcoholism, bottoming out, and immersion in Alcoholics Anonymous. Alcoholism is clearly of central importance to King. He foregrounded its significance to The Shining and Doctor Sleep by mentioning it in his author’s note to the latter. I suspect that King would be frustrated more than amused by the theories put forth in Room 237 about the film being about the genocide of Native Americans, the moon landing, or the power of subliminal advertising. In King’s mind, you don’t need a Rosetta Stone to understand The Shining: It’s all right there in the text. King wrote The Shining as an alcoholic. Torrance is near and dear to him. On some level, he is Jack Torrance, and by writing empathetically about the character and his illness, rage, and limitations, King was trying to show some love and empathy to his well-meaning self as well. Kubrick didn’t have that emotional connection to Jack Torrance. To Kubrick, Torrance was simply a fascinating heavy. That lack of empathy and compassion made The Shining more terrifying, but it also rendered it less resonant as a character study of alcoholism. As he also notes in his Doctor Sleep author’s note, King is a warm person. But Kubrick made a film as cold, chilling, and unforgettable as the image of Jack Torrance frozen stiff in the maze, a casualty of vices King was thankfully able to kick in the real world. Tomorrow, our Movie Of The Week Forum discussion of The Shining will delve deeper into the book-vs.-film divide, in addition to the theories and legacy that have grown around the film. Then on Thursday, we’ll take a look at the King-approved 1997 TV miniseries, and what its literalist approach says about book-to-film adaptations in general.